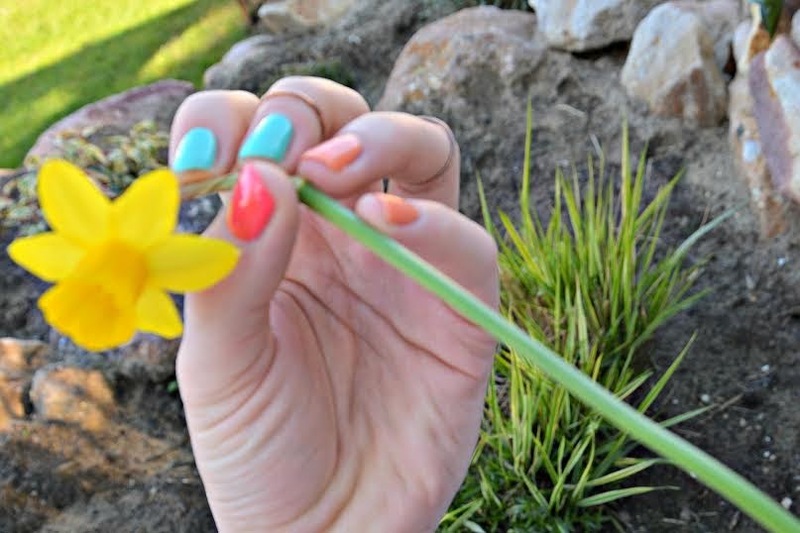 Coleoftheball: #Ablogadayforthewholeofmay Day 6 - Lisa on Summer nail polishes. #Ablogadayforthewholeofmay Day 6 - Lisa on Summer nail polishes. Hi guys welcome to day 6 of A bog a day for the whole if may. Enjoy this post! I am Lisa, 18 years old german blogger and you might know me from followinglisa.blogspot.de . Nicole was looking for guest bloggers for her project #ABlogADayForTheMonthOfMay and I initially knew that this was a brilliant idea. So, I had to take part! Fun fact about me: I am a weather person. The weather really influences how I feel. Hopefully, you had some beautiful day filled with sunshine as well. Those last few days really made me happy and made me feel like spring is finally here. And what is the best way to celebrate the arrival of spring? Yes, bright nail polishes. Even though I normally don´t wear a lot of nail polish, I did promise myself to wear as much as possible this summer. It just looks beautiful and lightens my mood. 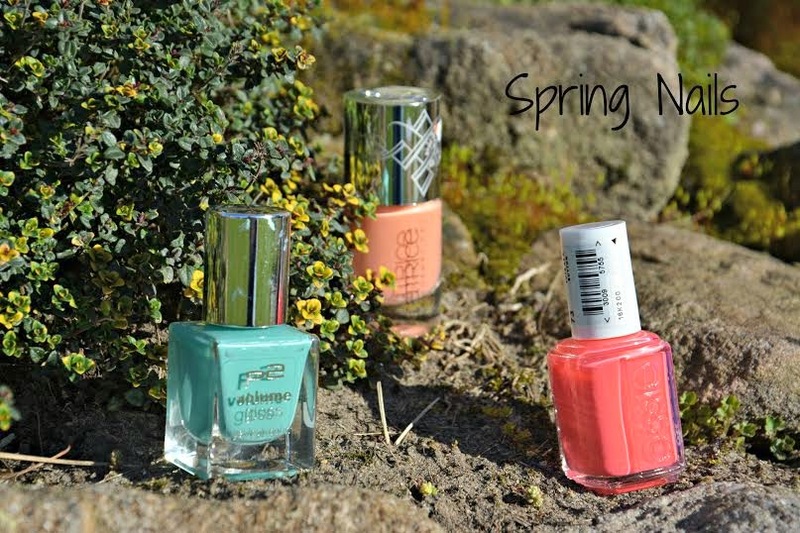 First off, I will use the P2 Volume Gloss Gel Look Polish a lot this spring. I´ve got the color 130 Fresh Sister which is a lovely mint green with emphasis on green. 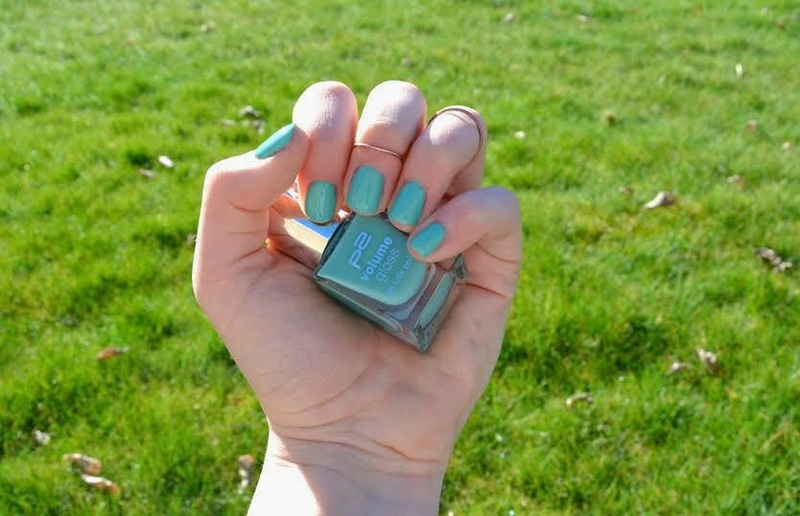 I wouldn´t see this as a dupe to Essie´s Apple Mint Candy as this one is way greener, something that I really like. The appliance is really easy because of the big brush and it has a beautiful finish. The next one is by Essie. It´s the infamous Cute As A Button, a bright pink coral. I was afraid it would be too bright and too pink, but the color is just gorgeous on the nails. 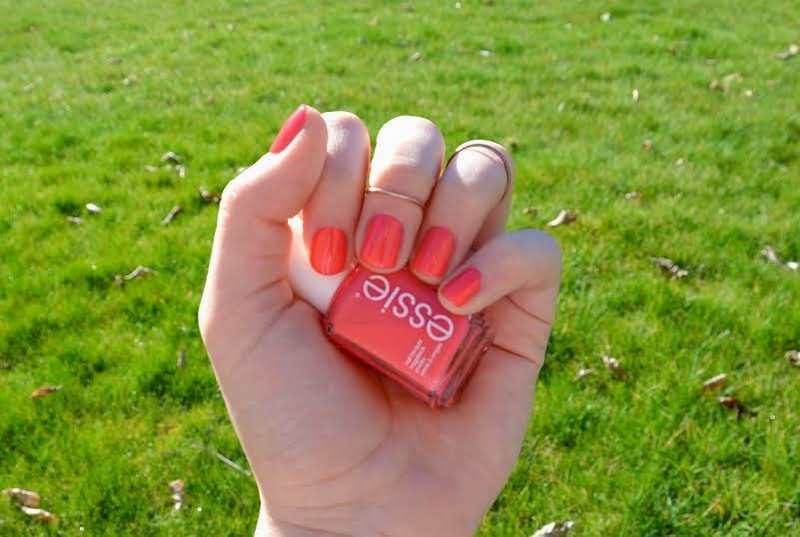 The quality and the appliance is as great as we are used to when it comes to Essie nail polishes. 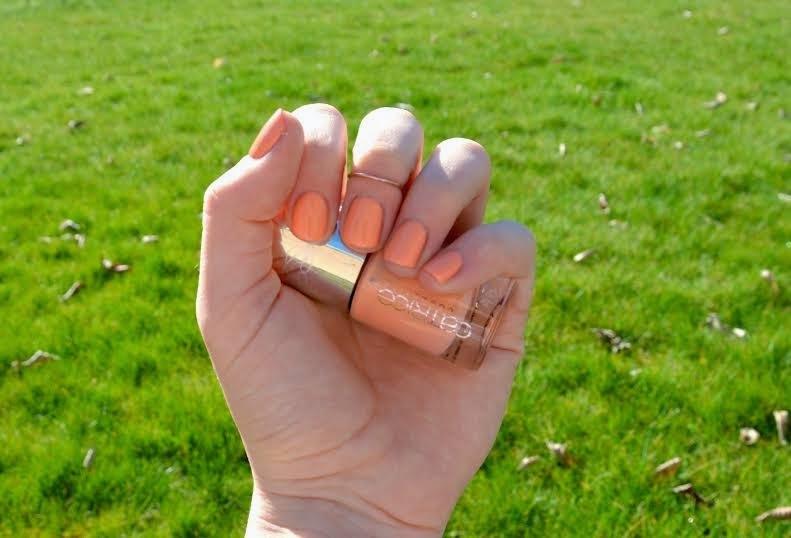 This beautiful bright orange is by Catrice Cosmetic. It has the name Love, Peach & Harmony. This is also the only nail polish of those three that has glitter in it. If I am not mistaken, the glitter is golden, but it is so thin that it just looks like a nice shimmer. The brush is thinner than the other two, but the appliance is just as easy since it´s still thicker than normal brushes. All of those gorgeous colors need at least two coats, but are drying quite fast. I do really appreciate that because it means that I don´t need to spend hours doing nothing while my nails are drying. I love all three colors. Like I said, they make me happy. What colors make you happy? Are you hopping on the pastel trend this year?